Presenting our 16th warrior, Hannah! How amazing is this photo that Hannah’s mom, Erica, put together?? 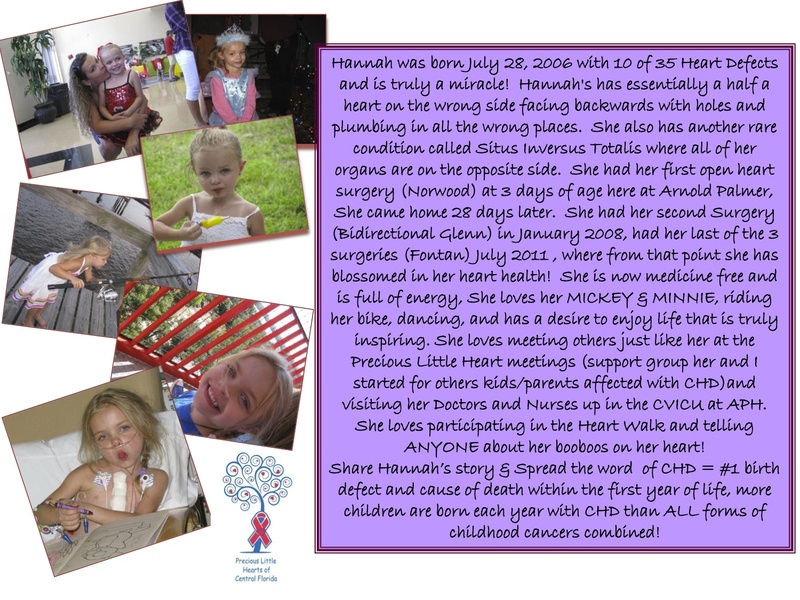 “Hannah was born July 28, 2006 with 10 of 35 heart defects and is truly a miracle! Hannah’s has essentially a half a heart on the wrong side facing backwards with holes plumbing in all the wrong places. She also has another rare condition called Situs Inversus Totalis where all of her organs are on the opposite side. She had her first open heart surgery (Norwood) at 3 days of age here at Arnold Palmer. She came home 28 days later. 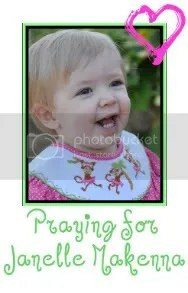 She had her second surgery (Bidirectional Glenn) in January 2008, had her last of the 3 surgeries (Fontan) July 2011. Where from that point she has blossomed in her heart health! She is now medicine free and is full of energy. She loves her Mickey & Minnie, riding her bike, dancing, and has a desire to enjoy life that is truly inspiring. She loves meeting others just like her at the Precious Little Heart Meetings (support group her and I started for other kids/parents affected with CHD) and visiting her doctors and nurses up in the CVICU at APH. She loves participating in the Heart Walk and telling ANYONE about her booboos on her heart! What a beautiful princess warrior!! I agree with Hannah’s mom, you can tell that she has a strong thirst for life. It’s incredible. Truly incredible. Rock on, Hannah!! 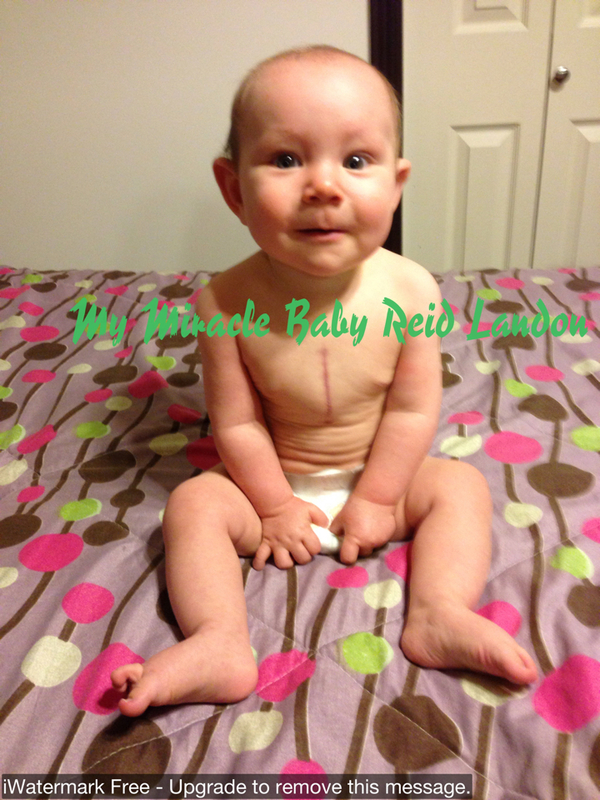 Presenting our Valentine’s Day warrior, Reid! 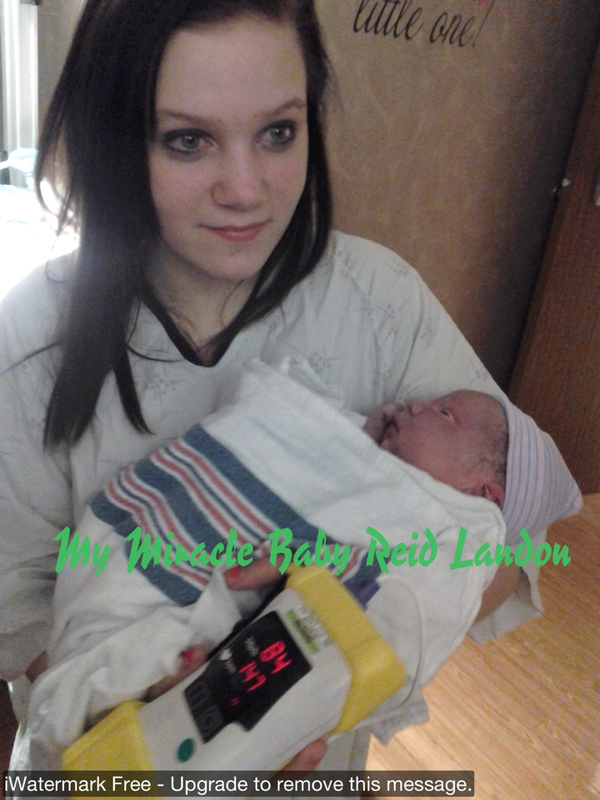 “Reid Landon was born March 29, 2012. My OB ended up inducing (03/28/2012) me due to Reid heart rate dropping while we were being monitored at my OB’s office. There were issues throughout the inducement because Reid’s heart rate kept dropping, so they would back off the inducement medication. 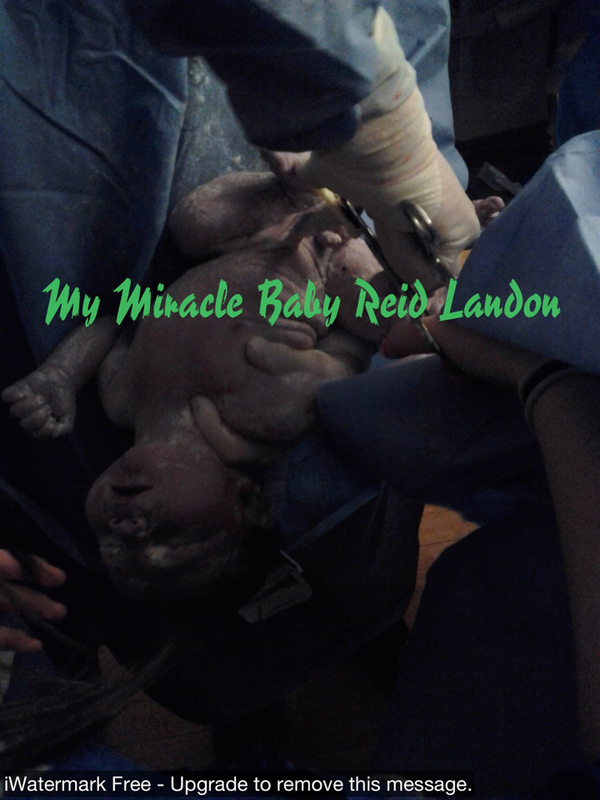 Finally 14 hours later it was time to push, when Reid was born he had the cord wrapped around his neck, his arm & his torso. He was so blue/purple! I was totally freaked out. I was able to see him for approximately 5 minutes then I was taken into surgery to get my tubes tied. While I was gone my son & his wife, my oldest daughter & my father were with Reid. Later Reid’s family doctor came to see him & gave him a clean bill of health. We went home & Reid was diagnosed with allergies at 4 months of age, which I thought was weird but I trusted Reid’s Doctor so I started giving him the allergy medicine his Doctor prescribed even though it didn’t seem to help with the wheezing. 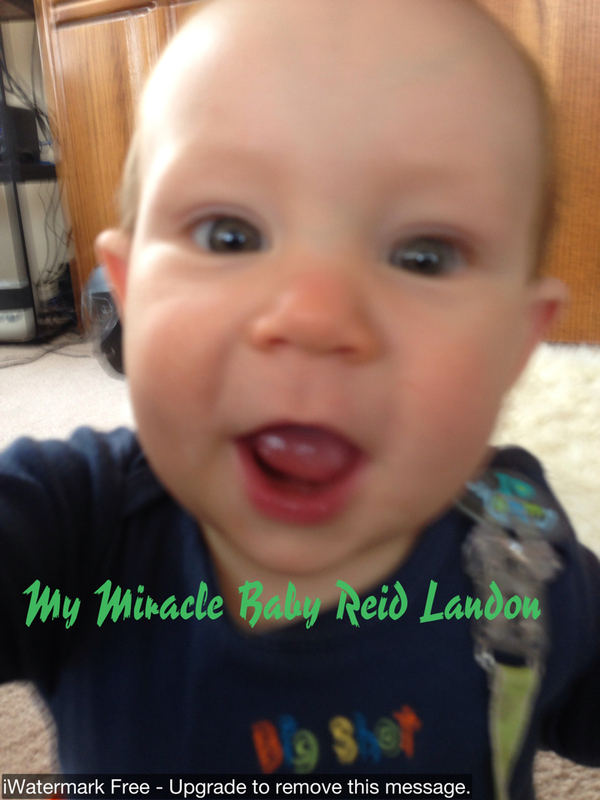 Then a week before Reid turned 7 months old his wheezing got so bad it sounded to me like he had pneumonia, so I took him in to see his doctor which agreed with my diagnosis….. He sent us to get a chest x-ray to confirm & to decide if it was bacterial or viral pneumonia. We were sent home & told Reid’s doctor would contact me with the results. Approximately 3 hours later I received call from Reid’s doctor’s nurse… Who told me Reid did have Bacterial Pneumonia & put him on antibiotics and then casually she told me, Oh by the way, Dr…. noticed in Reid’s chest x-ray that he has an enlarged heart!!! (So I AM TOTALLY FREAKING OUT AT THIS POINT) the nurse still sounds like she is telling me that my son has green eyes, not that something major may be wrong with my child!!! So they get an appointment scheduled for Reid to go see a cardiologist at Primary Children’s Hospital in Salt Lake City, Utah. When she called back with our appointment information, she told me they didn’t believe there was anything wrong with Reid & that it was only precautionary they were sending him! (I AM STILL TOTALLY FREAKING OUT). We stayed the night in Salt Lake City because we live 70 miles away & 6 am is very early with the NPO issues. Reid had his Pulmonary Artery banded to reduce the blood flow going to his lungs. The surgery went very well. They called to let me & my father to go in the CICU to see Reid. As I touched Reid’s hand, he started to hold his breath due to the pain & then his oxygen saturations dropped, his heart rate dropped & Code Blue was called. We jumped out of the way while we witness all the medical staff working on my beautiful little man!! If my father hadn’t been there I definitely would have been on the floor. They had to do chest compressions & had to put him back on the ventilator. A Fellow inserted the tube in Reid’s throat. Things then calmed down so that the doctors could talk to us & explain what was going on & what to expect as we moved forward. 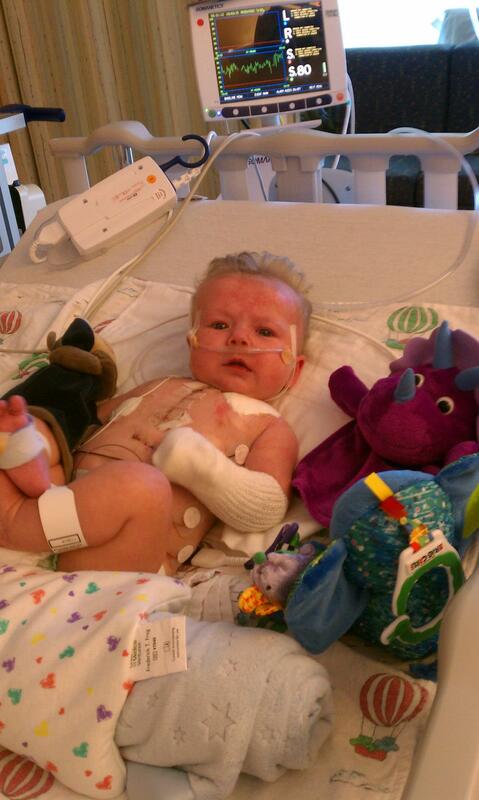 Reid was on the ventilator for 4 very long days & was in the hospital for a total of 10 days. Every step was scary & hard especially seeing how I’d just found out about Reid’s CHD’s so recently. Everything was starting to be a routine with his medications & a very strict schedule to make things as stable as possible for Reid. I started looking back at pictures & researching his defects & realized if I would have been more aware of CHD I would have possibly been able to get Reid help earlier in his life. The things I noticed; his complexion was grayish; especially his lips, he would tire out would tire out while he was eating & end up falling asleep, while eating he would sweat A LOT, he would eat a lot more frequently than any of my other children, his heart beat was hard & faster than I thought was normal, & he was ALWAYS wheezing. I looked back at all the pictures that were taken the day he was born. 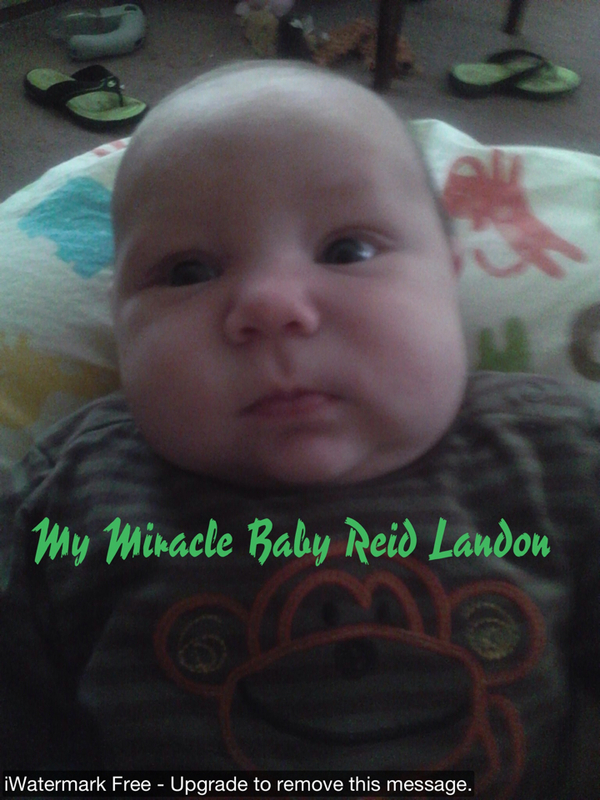 While I was getting my tubes tied my other children were with Reid & holding him & taking pictures. 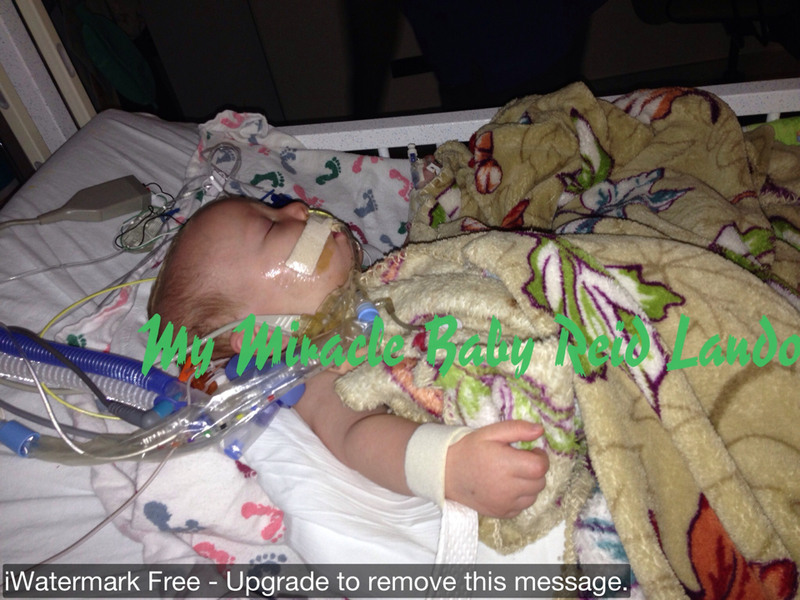 In the pictures Reid was hooked up to an Oxygen Saturation Machine. In these pictures you can see the readings which ranged from 83 to 87. I was NEVER made aware there was an issue!! On January 17, 2013 Reid was scheduled to get a Cardiac Catheter to measure the pressures in his lungs to decide if we could proceed & have the Glenn Surgery done. The results from the Cath indicated that we were good to proceed & one of his doctors said we would probably proceed with surgery within the next 4 weeks. On January 19, 2013 in the morning I had noticed that Reid had been coughing & at this point really having hard time breathing. Fearing the worst I took him to our local hospital (very reluctant due to them not finding his CHD at birth) they tested him twice for RSV. The first test came back negative but the second one was positive & due to Reid’s Cardiac issues the transferred us to Primary Children’s Hospital. We were transported by Ambulance & admitted. Reid spent 11 days in the hospital for RSV. Due to RSV his Glenn Surgery has been pushed back 6 weeks, so that his lungs can fully heal. Presenting our 8th warrior, Owen! “Kevin [Owen’s daddy] and I went to grade – high school together. We started dating my Junior year and Kevin’s Senior of high school. Kevin asked me to marry him in May of 2009 and July 9, 2011 we were wed. We decided we were going to not really try and not really prevent after we were married and three short weeks later, we found out we were pregnant with our little Owen. The first trimester was rough, I was on and off pelvic rest because of bleeding and we were trying our hardest to keep it a secret until at least the 12th week, although I don’t think we were very good at that! A week later we met with Dr. Haye’s and had a third anatomical ultrasound. We had three different techs come in to see what was going on and the last one brought Dr. Haye’s in. So here Kevin and I are sitting in this little dark room while my stomach was being probed and guked up by ultrasound gel hearing the words “unusual”, “that’s strange”, “abnormal”, “stenotic”. Our panic level rose a great deal and I began to freak out asking if something was wrong with our baby. Immediately the doctor straightened up and the tech stopped and started cleaning up all the disgusting goop she and two others lobbed on my abdomen. Dr Hayes said “we will discuss the results in my office in a few minutes” and he left the room. The tech kept sighing and giving us looks of pity until a nurse came in and brought us to a little room with an overused leather love seat and an empty book shelf. I was so upset and worried that I couldn’t think or see straight, what was only 5 minutes of waiting seemed like 5 hours. When we were summoned to his office he had this plastic model of the heart and he said “your baby has a hole in his ventricular septum and will need open heart surgery” It was like a foreign language, I had no idea what he was talking about. He continued to go on about valves and ventricles and blood flow, but I was not processing anything. Then he said they couldn’t do anything for us there and handed us a little pamphlet from Children’s hospital and their Fetal Concerns Program and told us they would call and have us enrolled and someone would call to schedule an appointment for a fetal echo and an ultrasound. It was three weeks before we went down to Children’s hospital and those three weeks were full of buckets of tears. We finally received some useful information and hope after going down to Children’s. We were told that they have a very low infant mortality rate in surgery and that he was going to be at the best facility in the mid west for a congenital heart defect of this stature. They told us that Owen has Tricuspid Atresia, transposition of the great arteries, and hypoplastic right heart syndrome. 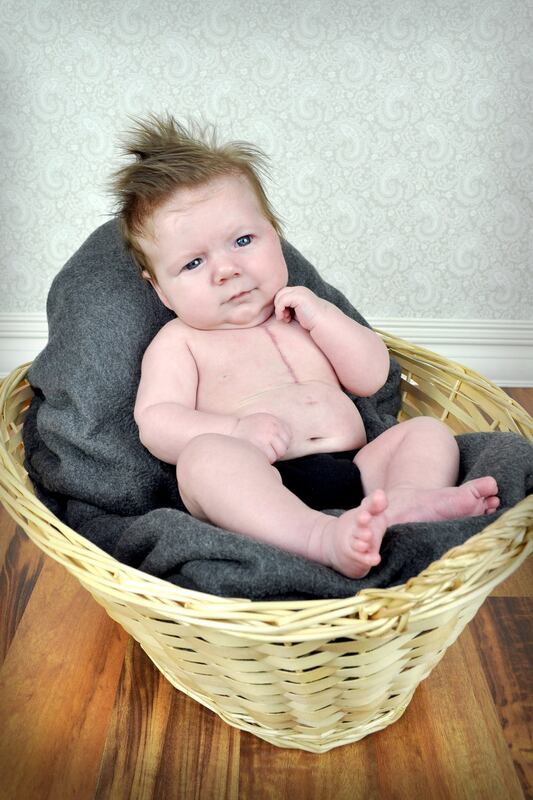 Owen is an infant who was diagnosed in-utero with Tricuspid Atresia with a Transposition of the Greater Arteries. Tricuspid Atresia is a Congenital Heart Defect in which the Tricuspid Valve doesn’t form causing the right side of the heart to become under-developed. Transposition of the Greater Arteries is when the Aorta and the Pulmonary Artery are switched. We met with neonatalogists and pediatric cardiologists once a month and we also had weekly anatomy ultrasounds and biophysical profiles until Owen was born. Since we live an hour and a half away, they recommended that I come and stay with family. I went down to Milwaukee to stay with my Aunt three weeks before my due date. Kevin stayed at home to work. I was still having my weekly bpp’s only at Children’s hospital. We scheduled them for every Friday so Kevin came down the first Friday I was there. They did the ultrasound and the Dr. was concerned about not seeing much amniotic fluid so she asked us if we could come in on Saturday morning(they are actually closed Saturday mornings so she had to let us in). She did the check and looked at me and said ” You are having a baby today!”. HA. Yeah right. Owen is so stubborn that he didn’t make his entrance for 39 hours! And by c-section too! As soon as they pulled him out I asked if I could have a cheeseburger. The whole not being able to have food thing for almost two days was horrible. 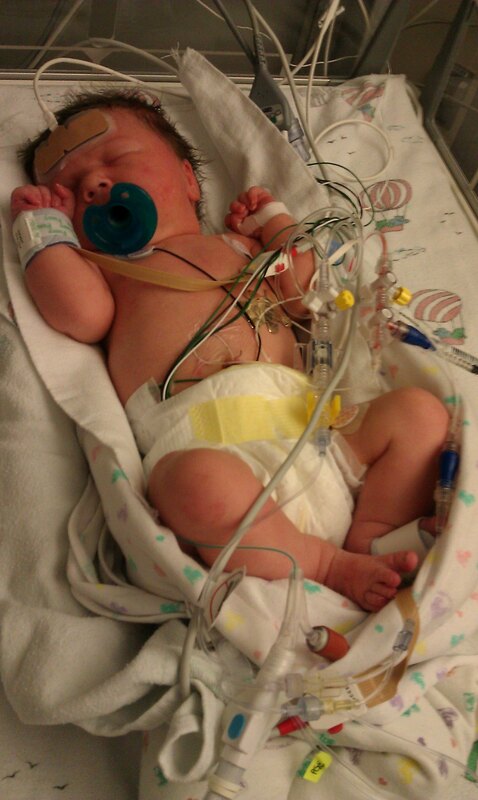 Owen was born on April 2nd, 2012. We saw Owen for about a minute after he was born and they took him down to the NICU and stitched me back up and sent me to recovery. After an hour in the recovery room, the nurses brought me down to the mother and baby unit so I could finally get some rest. It was unsure when Owen was going to be having his first surgery until he was properly examined and given an echo. It was decided that he would have the Norwood [procedure] at 3 days old. In the Norwood procedure they place a shunt between the Aorta and the Pulmonary Artery. I was still in the hospital, so we were able to hang out up in my hospital room instead of down in the waiting room for 8 hours. Everything went smoothly. Presenting our 7th warrior, Logan! “Our lives were shattered with the utter of four little words, ‘I hear a murmur.’ As our pediatrician looked up from our two week old son and began to explain how I needed to take Logan down the hallway for a few tests I found myself in complete shock. In total disbelief that this was even happening I felt numb. I simply followed orders and walked down the hallway with my mom to get Logan an EKG and chest x-ray. What was supposed to be a happy day filled with our new baby boy’s two week well child checkup, a photo session with our three year old and his baby brother and fun time with Grandma quickly turned into every parent’s worst nightmare. When the tests were complete we returned to the office to await the results. Making the phone call to my husband who was at work was not only emotional but very difficult. In a matter of minutes your life can change forever. Three days later we found ourselves sitting in an exam room at the Children’s Hospital, an hour and a half away from our home, reeling from the news we had just been handed. We received confirmation that something was indeed wrong with our baby’s heart but what we thought was just a Ventricular Septal Defect turned out to be much more severe. Our precious little guy not only had a VSD but he also had D-Transposition of the Great Arteries, Double Outlet Right Ventricle, Pulmonary Stenosis and a Right Aortic Arch. All of which were killing him. His oxygen saturations at the time of his diagnosis were in the 60’s and he was in heart failure. 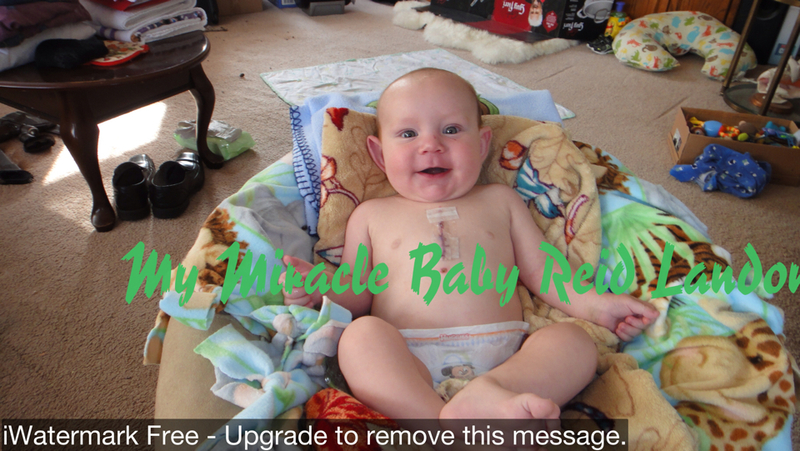 He required immediate intervention in the pediatric cath lab to save his life. Those final moments that I rocked him before they took him into the cath lab were the most agonizing moments of my life. I was devastated by his diagnosis, fearful of the unknown and terrified of losing him. 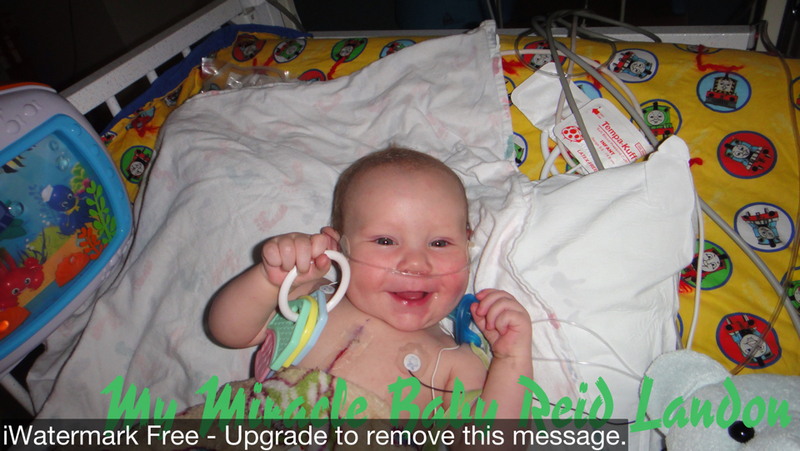 After many tears and several hours later he came out of the cath lab and was placed in the NICU. For the next three days we were thrust into what seemed like a foreign land with a foreign language. We had to learn medical terminology, take CPR, understand Logan’s new cares and come to grips with everything his future would entail. It was overwhelming emotionally, physically and mentally. Yet we were so unbelievably thankful to have our baby boy still with us. 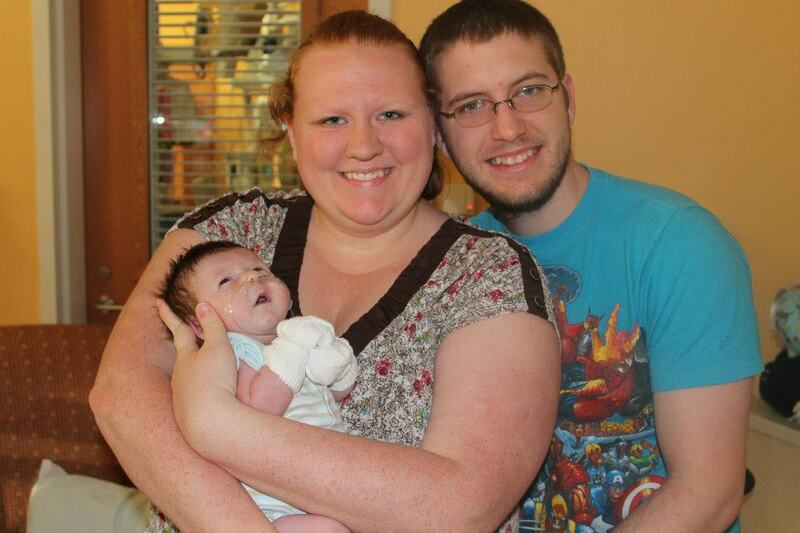 We were able to take Logan home for two weeks before it was time for his first heart surgery. 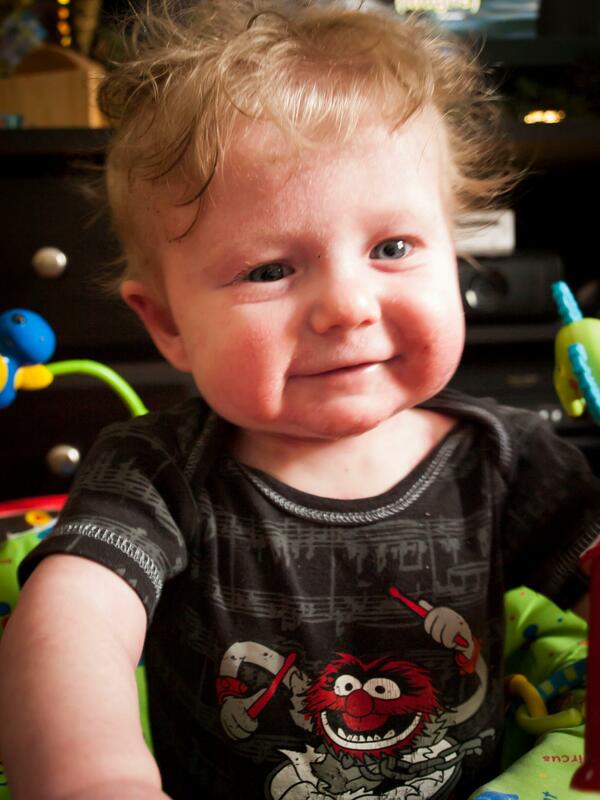 When Logan was five weeks old he had his first heart surgery, the BT Shunt. Handing my baby over again to the arms of strangers was incredibly hard. I was a wreck the entire time he was in surgery and praying that he would make it out. Several hours later he did and seeing him for the first time after surgery was quite traumatic. They show you pictures in a book prior to surgery to try to help you to cope with all of the things you are going to see post op but it doesn’t even come close to what it is actually going to be like. The many, many machines pumping lifesaving mediations through his body, the ventilator helping him breath, the shocking scar running down his chest, the constant beeping of monitors, chest tubes protruding from his chest, and his little lifeless body laying there unable to move or open those big brown eyes. It was absolute torture not being able to pick him up and swaddle him in my arms. 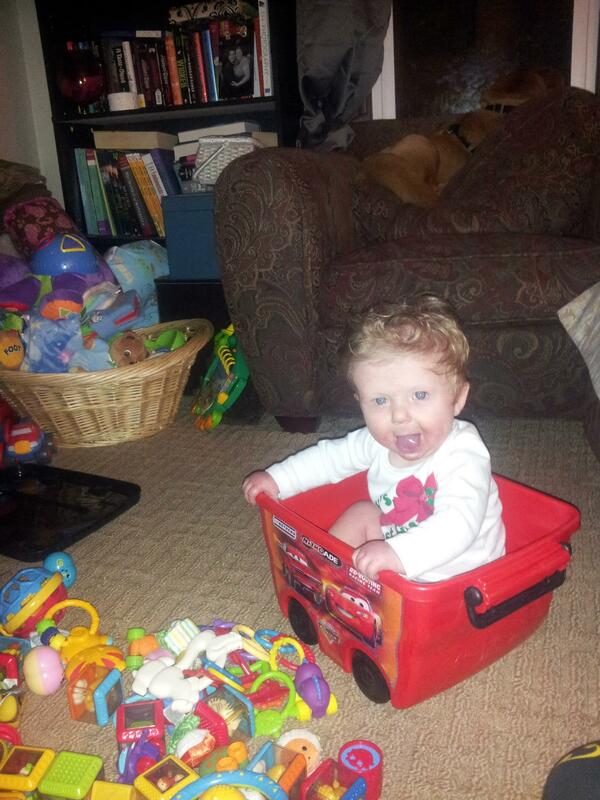 Logan spent the next 31 days in the hospital suffering many complications and setbacks along the way. He had focal seizures, bloody stools later determined to be caused by a protein allergy, breathing difficulties and a severe oral aversion that led to needing a feeding tube. Being away from our three year old son, Wyatt, for so long was hard on all of us. He came to visit on the weekends but it was so upsetting to him and us every time he had to leave. All we wanted was to be together again and once Logan was stable enough we did. Logan was still very sick when he came home. He was on many heart medications, had severe acid reflux, a severe oral aversion and a feeding tube. We spent a lot of time the next eight months going to see our pediatrician and traveling for cardiology follow-ups. 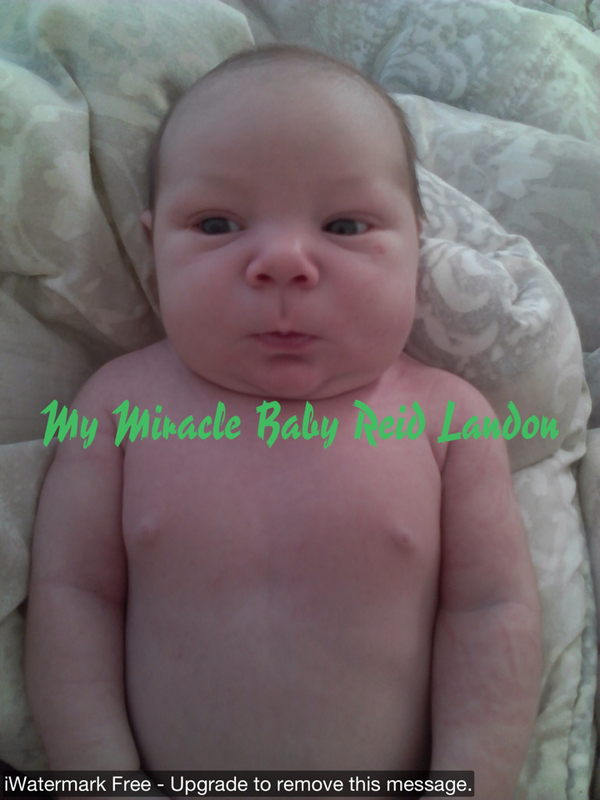 When Logan was ten months old he had his second heart surgery, the Rastelli. This time around we were more prepared and took the speed bumps along the way post op a little better. His recovery time was much shorter despite developing a cyst behind his vocal chord that required laser removal so he could breath, trouble coming off of milrinone and a mystery infection. During the Rastelli surgeons replaced his severely stenotic pulmonary artery with a synthetic conduit. Since the conduit would not grow with him we were told to be prepared for more surgery in the future to replace it as he grows. Brining him home from this surgery was such a huge celebration for us. It was the first time were going to be able to take him out in public, attend family gatherings and just feel like a somewhat normal family again. 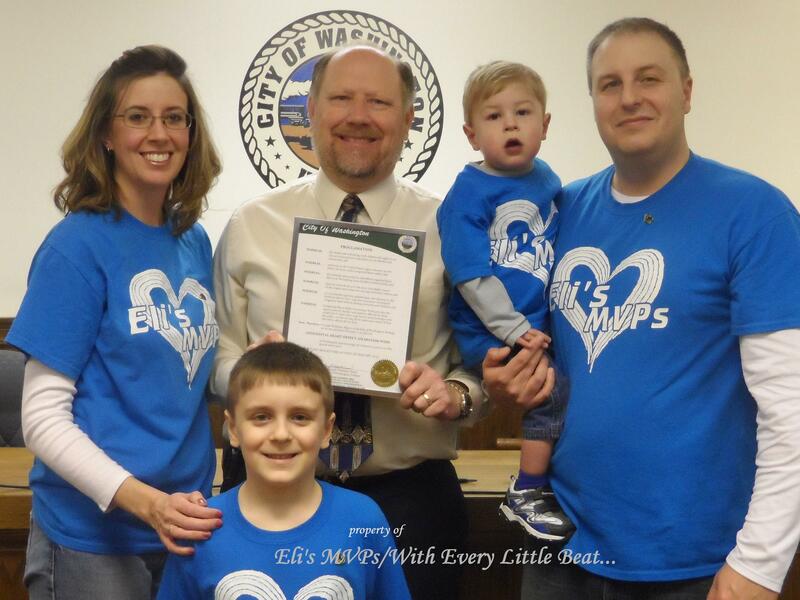 Six months later, however, we were quickly reminded that the world of Congenital Heart Defects can be unfair. We learned at a routine cardiology checkup that Logan’s conduit had a huge bulge in it and he was going to need a chest CT Scan to determine how serious it was. When the results came back it was confirmed that Logan needed an immediate cath to see if they could perform an intervention to buy him a little more time before he needed surgery again. We were devastated because we had originally been told to not expect surgery for a few years, not months later. Thankfully the trip to the cath lab was a success and it bought us some time. 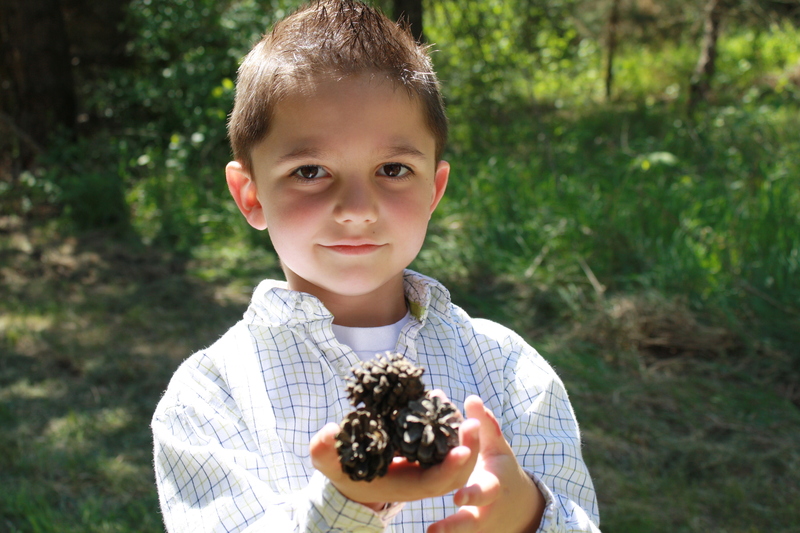 Logan endured his third heart surgery when he was three years old to replace his conduit and remove a muscular growth from his right ventricular outflow tract. This surgery was one of the hardest for me personally. It was very different from handing over my baby that I barely knew. This was my sweet little boy who kissed me, hugged me, shared with me his sunny little personality and was the light of my life. The thought of having that ripped away from me was agonizing. But Logan once again pulled through his surgery and recovery despite suffering a surgical complication known as Dressler’s Syndrome which causes fluid to develop around the heart along with other symptoms. Since then Logan has grown into a vibrant free-spirited six year old little boy who lives each day to the fullest. He is sweet, silly and funny. Looking at him now you would have no idea all of the things he has been through the past six years. He started kindergarten this year and has been busy making friends, something he has wanted for so long. Every person in our family has been changed by this journey. While it has not always been easy and will continue to be something we have to battle every day in the future as Logan will require more surgeries,we wouldn’t trade it for anything. It has made us who we are, brought us all closer and taught us so much about what is really important in life. We are incredibly thankful for each day we have been given because we know how close we came to losing everything. At the time of Logan’s birth it was not routine practice to receive a 20 week ultrasound in my OBGYN’s office to screen for heart defects. It was also not routine practice to have a newborn baby screened for heart defects before leaving the hospital using a pulse ox. Not a day goes by that I don’t think of how things could have turned out so differently because our baby came home undiagnosed with life threatening congenital heart defects. Thankfully due to the efforts of so many amazing heart moms this will one day no longer happen. 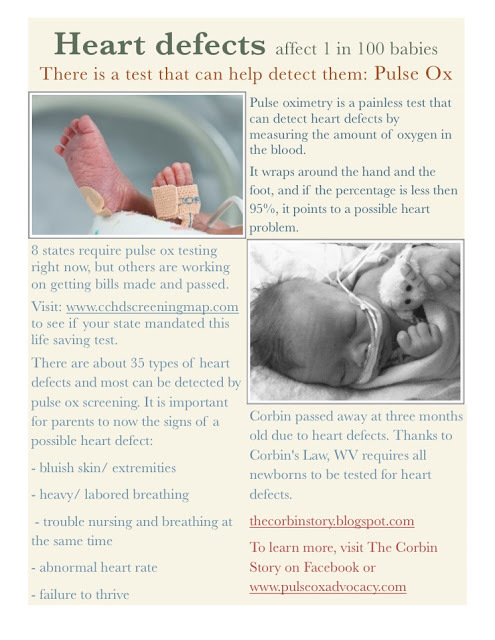 Legislation has happened or is currently in the works in many states to make pulse ox screening mandatory on every single newborn. It is a wonderful feeling to know that one day no family will ever have to find out about their child’s heart condition until it is too late. 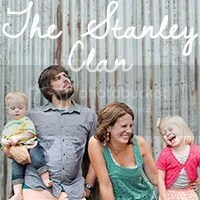 Stefenie also has a Facebook page created for her blog. Please visit and show support and love for this incredible young man and his family. Presenting our 1st Warrior, Aurora! This year, I wanted to take things a tiny step forward with blogging. It’s a tiny step, but a step in the direction. 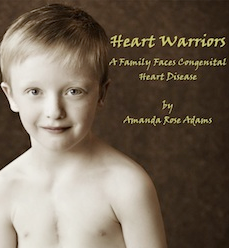 For the entire 28 days of February, we will feature a new story of CHD warriors, warrior angels, with blogs and Facebook page links to help circulate the growing number of those affected by CHDs across the United States. And if I’m really lucky, I’ll get a few stories from across the globe. 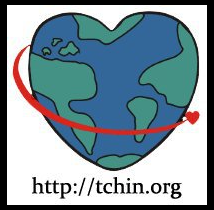 Please visit daily for stories of heartfelt struggle, inspiration, hope, and love. Welcome to Heart Month here at Queen of Hearts! “Aurora was diagnosed prenatally at 22 weeks gestation with a rare Congenital Heart Defect (CHD) called Congenitally Corrected Transposition of the Great Vessels. She will need a transplant, possibly a pacemaker. 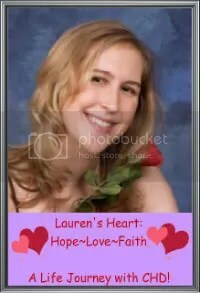 She sees a great Cardiologist at MCV (VCU Richmond) who has high hopes for her. Aurora with her mom and little brother. Aurora at her very first American Heart Association Walk in 2010! Aurora on her first day of school! Look at her go! On her first day of school. ♥As many as 40 infants per 100,000 live births are affected by congenitally corrected transposition of the great vessels; this is fewer than 1% of all congenital heart defects. 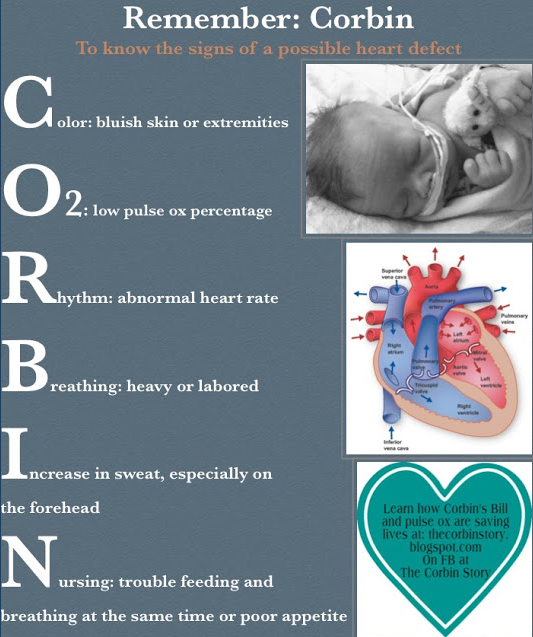 ♥This disorder is reported in 0.5% of patients with congenital heart disease, and the literature reports fewer than 1000 cases. 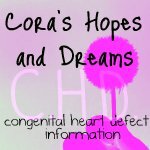 Please visit (Princess, sorry she is such a true princess that it’s hard to not type that) Aurora’s Facebook page, “like”, and follow her fight with CHD. You’ll be so glad you did. She is a courageous kiddo with a spirit that can’t be matched!